In this post, you’ll discover some super engaging ways to promote your blog and your content on Instagram. I’ve been using Instagram since 2015, however, it’s only been in the last few years that I’ve really pushed more content on my Instagram profile. 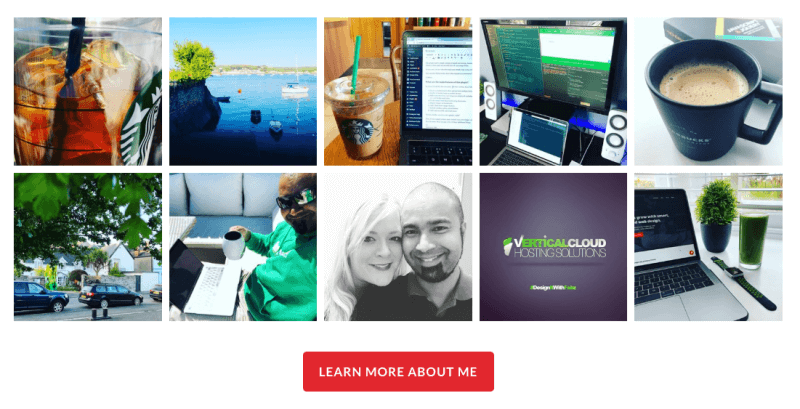 Before I started with Instagram, actually, I was kind of skeptical whether it was the right platform for me to use to promote my blog, content, and my business services, etc. I also knew that it was a great place for lifestyle and travel bloggers to share their content, but never did I imagine it would be a place where I could promote my blog and content too. Then, I discovered that 70.7% of US businesses were actually using Instagram. Despite this, could I really be bothered to start learning how to use yet another social platform properly? I mean, it wasn’t like I didn’t have enough on my plate already, with Facebook, Twitter, Linkedin, Pinterest, and YouTube. I can’t live without Instagram in my business and in my life… Does that sound sad? Instagram has become the top platform, and my favorite, for sharing and promoting content related to my blog and online business. Seriously guys and dolls, I get the most value out of Instagram than any other social media channel right now. Second, to Instagram has to be YouTube, for me at least. If you’re not familiar with Instagram at all, and for whatever reason, it is simply the largest visual content-based social media platform, and it’s primarily mobile-app based. Bloggers, and businesses: Why should you even concern yourself with Instagram? If you’re unsure whether you should or shouldn’t be on Instagram, don’t worry, because that’s exactly how I felt before exploring the platform properly. And, according to this article on Sprout Social, Instagram’s users has the most percentage of interactions with brand’s post when compared with Twitter or Facebook. See image below. So, with those statistics in mind, isn’t it time you really considered leveraging Instagram in your blog and content marketing strategy? Of course, you don’t need to be a top brand name to use Instagram. You just need some direction. If you’re a blogger, like me, and you’re not yet using Instagram or don’t have a profile, first, download the app on your smartphone and create one. That’s OK, don’t beat yourself blind about it! Even if you’re starting from flat zero. You can start to build your audience up slowly. Obviously, you can’t build an audience properly, or organically at least, without first posting some quality content, which I’ll talk more about shortly. Mention you’re on Instagram in your marketing videos, vlogs, and Livestream events. There are plenty of other things you can do to start building up followers, but this post isn’t about growing your Instagram audience, it’s about promoting your blog and content on Instagram, so let’s get to it. Let’s start with your Instagram profile bio. Now, you can’t afford to NOT make this the best you possibly can. 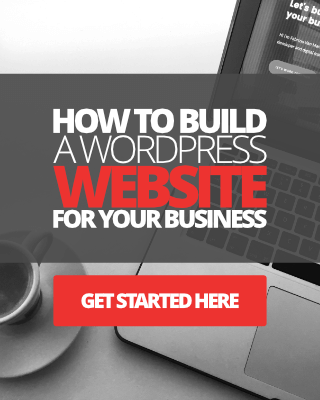 Also, make sure you add a nice call-to-action and a link to your blog or website. This is very important because you can’t add a clickable link anywhere else on your Instagram profile, not even your posts unless you are promoting your content using Ads. See mine below. Before you start adding photos and sharing cool videos on your Instagram profile, here’s a big tip! Think quality and relevancy. If you’re trying to promote your blog and your content to a specific audience, start by making a list of all the types of Instagram posts you could create that’s related to your niche. In addition to keeping your content sharing aligned with your blog or online business goals, make sure whatever it is you’re sharing is high-quality stuff. By this I mean, always use beautiful photos, add cool filters or light effects in your photos, explore with text overlays, really get creative with it. Make your content unique. Follow me on Instagram to get some inspiration from my images. 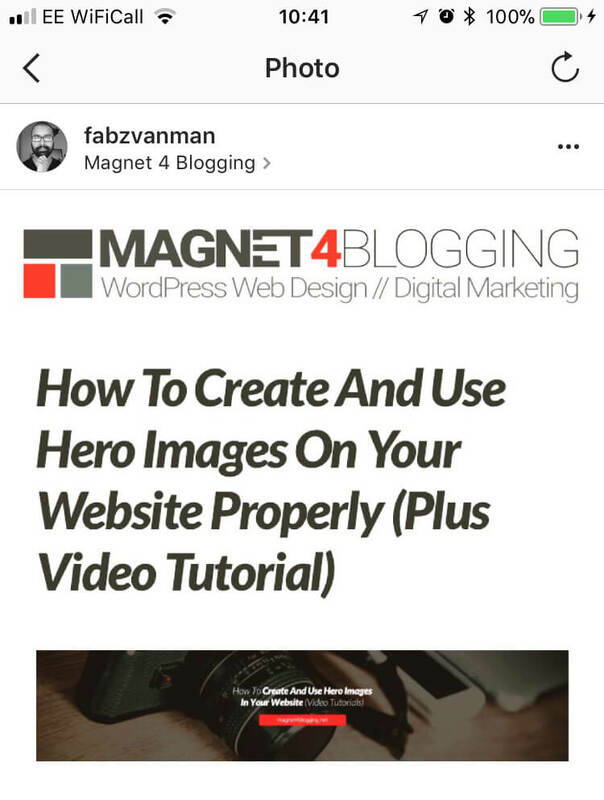 A great way to share your latest blog post with your Instagram followers is to screen capture your actual blog post using your smartphone. You can then edit the image a little bit before posting it. Here’s an example below. There’s a great ‘Layout app‘ for Instagram that I like to use and recommend for adding a featured image to your blog post screen capture. If you’re going to implement this strategy for your blog posts, I’d also recommend adding a short description and some appropriate hashtags relevant to the topic of your article. Another effective way is to actively follow, ‘Like’ and ‘Comment’ on content shared by users in your blogging niche. See if any of the bloggers you follow are actually on Instagram, to begin with. Then start following them. Follow me on Instagram and let’s share each other’s content. When you take your followers behind the scenes of your blogging business, some amazing things can happen. Not only do you add that all-important ‘human-element’ to your brand, but this strategy can also help you gain trust and loyalty from your followers. I think that’s pretty important, don’t you think? One of my favorite things to do on Instagram is to share some behind the scenes of whatever is going on in my business. This could be a picture of myself writing a new post in my favorite coffee shop, or a short video of my setup, or, simply a cool picture of something I’m working on. Here’s an example. It’s a picture of me pretending to be busy working! A beautiful photo can capture your audience’s imagination and tell your story in a way that no other form of content can. Why not experiment and use multiple photos to create an even larger picture? One thing you could do with your own theme is to incorporate your brand image into your theme. So, for anyone following your blog, they’ll immediately recognize your brand and content on Instagram and hopefully begin following you. For promoting your blog content, for instance, you might want to use video to quickly introduce a brand new blog post, or mention some key points of your article to tease your audience, and so on. You could also create a 60-second video to share even more ‘behind the scenes’ with your followers. Or simply share a quick story. How about using the Hyperlaps app to create a time-lapsed video of you ‘hard at work’ on your next big thing? Or, simply use the 60 seconds you have to give some quick tips because providing value is what it’s all about, right? I think that’s enough ideas for your 60 seconds video… But, you could go one step further and start using the brand new Instagram TV feature! Just like videos, stories are great or sharing what is happening right now, or what you’re currently doing or working on. This is great because the next day you could share a completely new story. Are you working on something new and cool that you can barely keep it a secret? A great way to start creating excitement, hype, and buzz around your new ‘thing’ on Instagram, whatever that thing might be, is to tease your audience. Or, maybe you’ve got an event coming up, a Facebook Live Q&A Session, or a webinar. Just Instagram it! Like any serious effort to make social media work for your blog or your online business, you’ve got to be consistent. There’s no point in feeling all inspired and motivated now and posting content every day, to only drop out of using Instagram a few weeks later. Great content + Consistency = more content views and engagement = more followers = more clicks to your website. 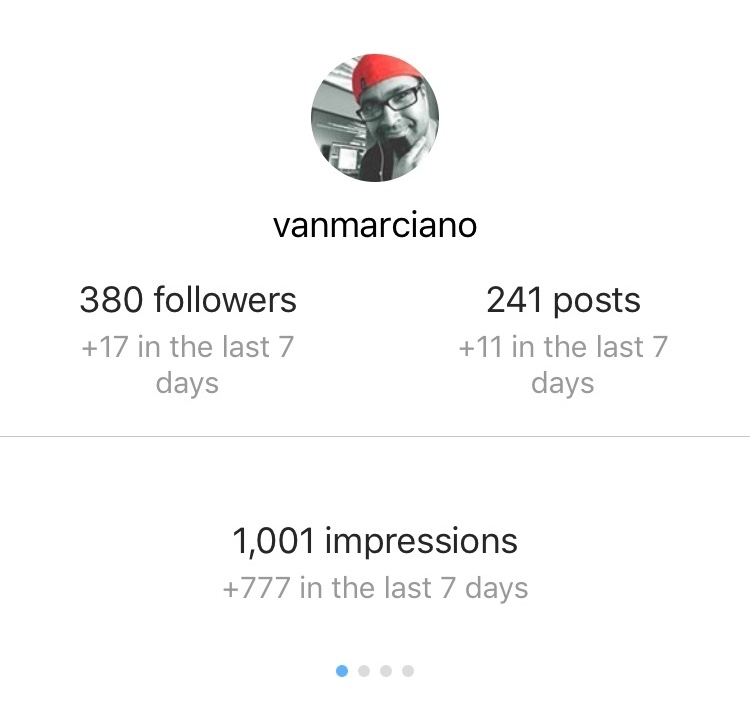 In a recent experiment, I decided to increase my activity on Instagram by posting twice a day instead of once every few days, and what I saw was an increase in both followers and website clicks by over 100%. You can either create one using Google Docs or Excel. 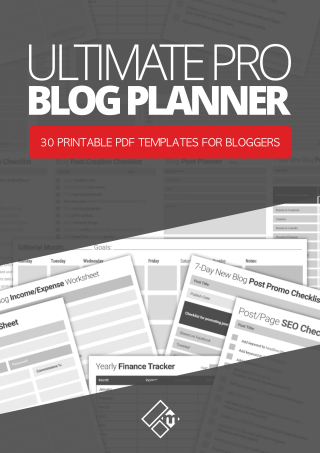 Or, check out my Ultimate Pro Blog Planner Workbook here. It includes a useful Social Media Content planner for Instagram. #11. Over-deliver on the value, give, give, give!!! Regardless of whether you’re sharing a powerful photo, or sharing a cool and funny video. Whatever you do, just make sure you’re providing some form of “value”. Instagram is a special place, so think of creative ways to market your blog and content while continuing to provide great value for your followers. Sure, from time to time post a cool pic of your lunch, or coffee cup! But always think of ways to give something to your followers. That will give them more reason to follow you and even check out your bio and click on the link to your blog. Using Ads to promote your content on Instagram is not expensive at all. Well, I don’t think it is, anyway. And, the great thing about using Instagram Ads is that you can actually select where you want to send people. 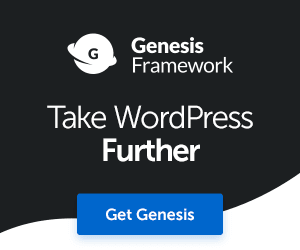 In this case, your blog, or your latest blog post, or a conversion page on your website. You can also quickly select your target audience by either letting Instagram target people for you or create your own using targeting options. Last but not least, and this is completely optional. Install the Instagram Feed Pro plugin in your blog. Instagram Feed Pro is my favorite plugin for adding customized responsive Instagram feeds into my website. If you look at the about page on my website here, just scroll down and you’ll see I have a feed of my Instagram content. This is a great way to increase engagement, get more likes, and more followers. You can check out my review of Instagram Feed Pro here. So, peeps, that’s it. 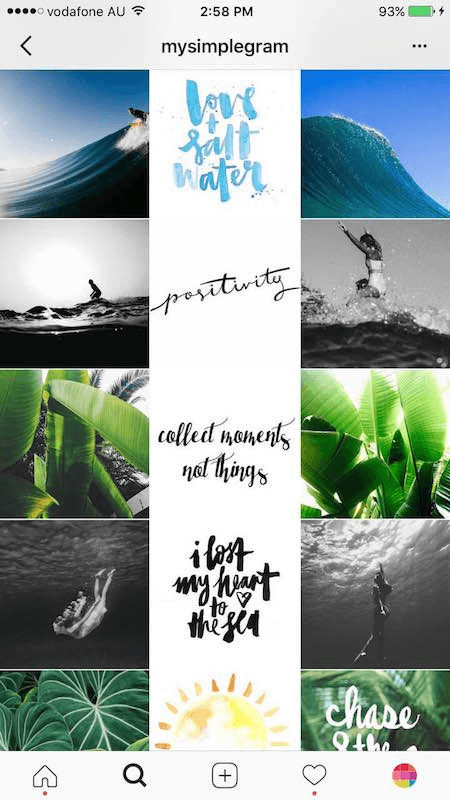 That’s my tips for promoting your blog on Instagram. Create an Instagram account if you don’t have one set up. Add a great bio and link to your blog. Post quality, relevant, and shareable content. Screen capture your blog posts, add descriptions and use relevant hashtags. Follow, like, and comment on other content similar to your own. Share behind the scenes stuff. Everyone loves that kind of stuff! Develop a unique theme or style for your Instagram posts. Make the most of the 60-seconds of video to promote something cool on your blog. Share your story, or create mini posts! Create excitement, hype, and buzz, let your followers know that something BIG is coming. Like an amazing new article on your blog, or video post. Provide nothing but amazing value. Promote posts using Instagram Ads, sometimes. Remember above all to be consistent, plan ahead, be creative and have fun, and you’ll be rewarded. 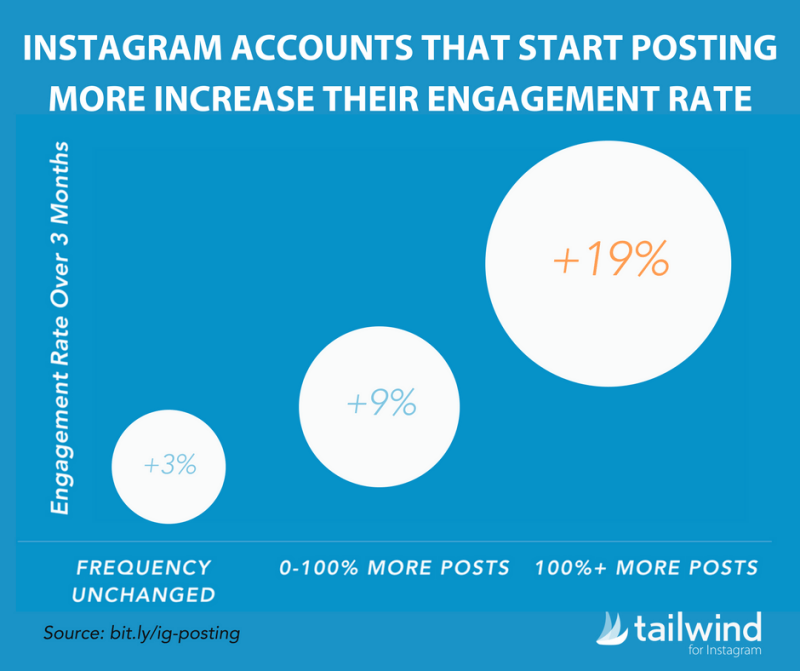 You don’t need to have thousands of followers to get the most from Instagram. I hope you enjoyed reading through these 13 tips, and more importantly, I hope you’re going to take action and start implementing a few of them into your Instagram marketing strategy to help you boost the growth of your blog. I wish you awesome luck and don’t forget you can Follow me on Instagram, let’s share each other’s content! If you’re a business looking to learn how to use Instagram to grow your brand, check out this information-packed resource article titled The Ultimate Guide To Growing Your Online Business using Instagram over on Foundr. Great tips for anyone who wants to start using Instagram to promote their blog or business. I personally haven’t started using it. Like you, I don’t really want to take the time to learn it. (maybe I’m missing the boat?) There’s so much to do to run a blog plus my freelancing work, I just don’t have time to learn another social network. I think it’s cool that you’re transparent in your blogging business. I try to be as transparent as possible as well. Like you, I think people really like that. I haven’t thought about sharing my office equipment and what I use to run my blog business. This would be a great idea to do. 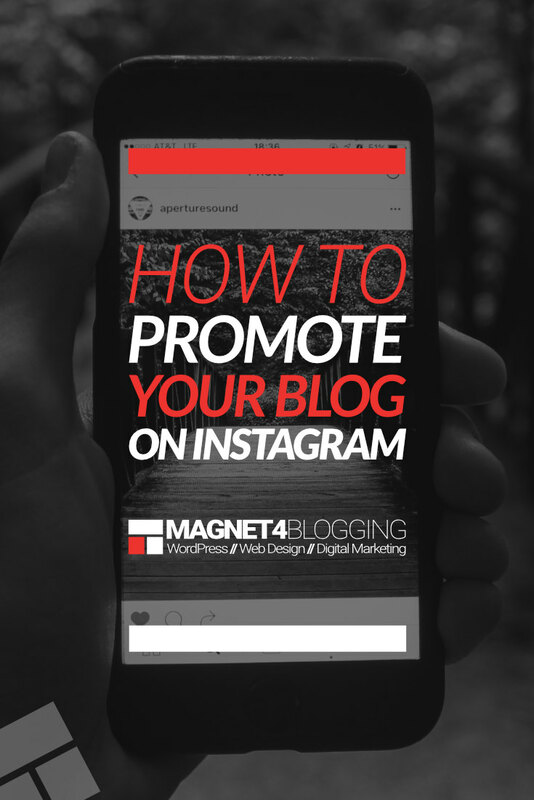 Thanks for these tips on how to promote a blog via Instagram. 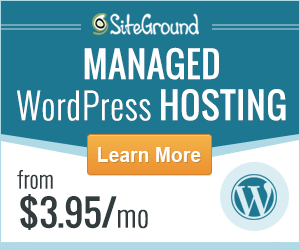 I have no doubt that they’ll help people promote their blogs more effectively. Thanks for stopping by with your comment. I am very much like that when it comes to learning something new these days. Time has become so valuable even though I try to manage it better. But we could spend an entire lifetime learning how to use new tools, apps, technology stuff for our business, right? Where does it stop? Anyhow, I’m glad you enjoyed the tips just in case you ever feel the need to leverage Instagram for your business or blog. As for the transparency thing, I love doing that because I want to make readers feel ‘at home’ with me, if that makes sense. I hope to do a lot more videos too so that I can continue being transparent about what I’m using to build my business, what’s working and what’s not. I really think more bloggers and entrepreneurs should do it. 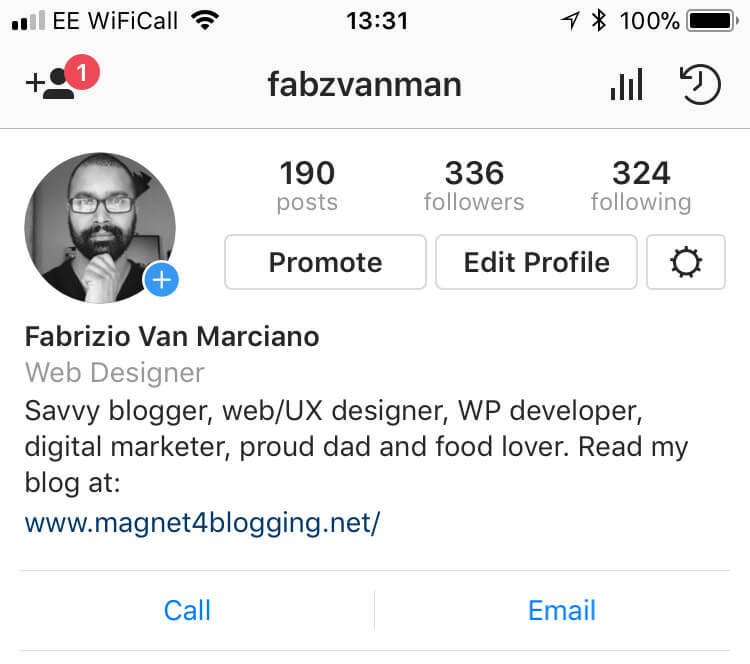 Instagram bio is the key spot that will help convert your potential readers/subscribers to follow you, so yes, I loved the tips about setting up the CTA there. Yes, Instagram has grown a lot in this year and since we can take the advantage of it, I wish everyone takes the largest piece of the pie while they possibly can. Like Susan (in her comment below), I haven’t have had the time to be active on the platform of late but yes with your tips I think it would be rather easy to get more done while doing effective promotions. This tip of yours is DOPE: “Provide nothing but value”, works like a charm everywhere. Thanks so much. Thanks Swadhin, and great to see you here again buddy. I know right, just when we have enough on our plates, we’ve got to think about finding time for another marketing platform. I’ve found with Instagram that if you have some content ready for sharing, it can help save you some time. I try and have 3 or 4 pieces of content ready for a few days in advance. Thanks for visiting buddy, have a great week ahead. You got me thinking of levelling up my own Instagram account, I don’t really use it much. With this article, I have a change of mind. I read that Instagram is next to Facebook by the number of active users per month. I have to take advantage of that reach. I love your tip of sharing your BTS. I think its important to sometimes share the human side of the IG handler. Hi Elisa, welcome to the blog. Yes Instagram users have exploded, and now is the time to start tripling down on your Instagram marketing strategy.